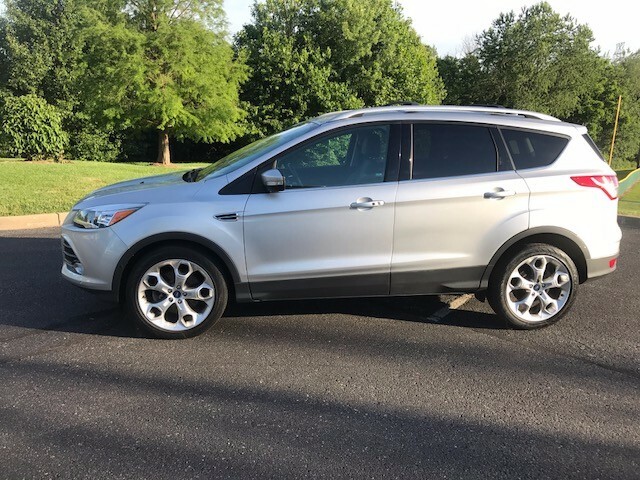 This is an awesome 2013 Ford Escape Titanium Edition. This SUV has it all! Keyless entry, remote start, the My Key safety features, 19 inch aluminum wheels, power locks, windows, mirrors, seats, heated seats, blue tooth, navigation, automatic, air conditioning, & much much more. This Escape was recently detailed, serviced & has a brand new set of tires! This car averages over 27 miles per gallon! This is also a great car for a new driver. The Titanium Edition comes equipped with the My Key feature that allows parents to establish rules that must be followed while operating the car. You can program the car not to exceed certain speeds, the max radio volume, and if the seat belt isn't' buckled the radio will not work. When you don't follow the rules of the car, it will constantly chime letting you know that you must correct any issue. Perfect for the teenage driver! Priced well below book! This is a fantastic deal!